The Resident Evil series were the original popular survival horror games. Down through the years they have changed, adapted and mutated just like the zombies and monsters that they are known for. Since the original in 1996 the series has consistently managed to provide several unsettling and outright frightening moments regardless of the overall quality of the games themselves. With their being seven main games I decided to pick seven moments let me know what you found scariest (or didn’t) in the Resident Evil games! The first zombie encountered in Resident Evil. Source. It was a struggle to choose between this moment and the dogs that smash through the hallway windows later on. I went with the first zombie’s appearance because once that quick cut scene ends Resident Evil throws you in at the deep end. As Chris or Jill the player is trapped in a small, tight space unable to move the fixed camera and facing an in-your-face foe that absorbs the bullets from your 9mm handgun like mosquito bites. In this moment Resident Evil teaches players that it will show them no quarter. It’s awkward tank controls are there to stay and the vulnerability of future muscle boy Chris Redfield or the resourceful Jill Valentine become all too clear after a couple of hits. A shadow skittering across a grate. A police man’s headless corpse. That tongue. 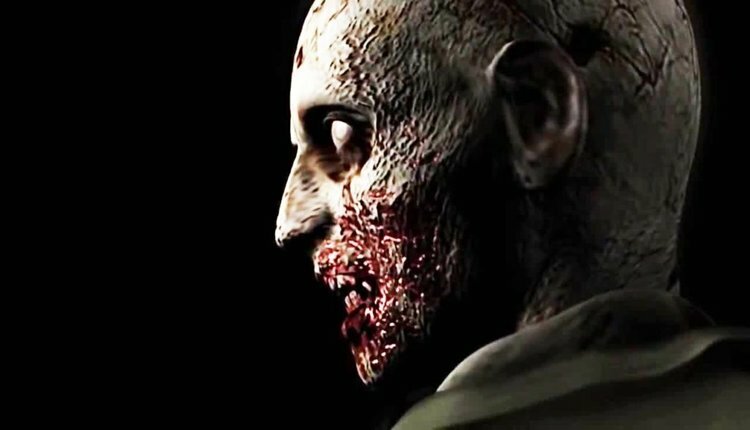 The Licker has a reputation as one of Resident Evil’s most frightening monsters for good reason. It’s introduction is unforgettable and although every subsequent encounter after that might not be as terrifying the memory of that moment in the sewers stays with you. Look forward to this same moment being reenacted in glorious 4K at 60 fps when the Resident Evil 2 remake comes out on January 25th. Everything in Resident Evil up to this point had been killable. Until Nemesis came along. An indestructible creature designed to hunt down Jill Valentine and her former S.T.A.R.S unit members Nemesis would often bust through walls in Resident Evil 3 at random. Though some of these moments were scripted others were determined by player choice. Rather than merely one moment being scary it was an ingenious and oft-copied move to make every moment of gameplay unsettling. 18 years before the Baker family appeared in Resident Evil 7 Nemesis was there. Watching. Waiting. Rebecca and Billy go off the rails. Source. The first area of Resident Evil Zero works similarly to the way Nemesis operates in 3. 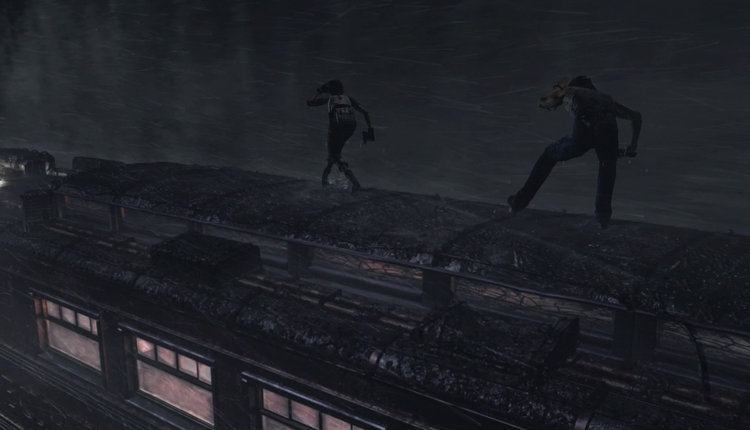 The train Rebecca and Billy find themselves trapped on is all tight corridors and dead bodies. All these bodies look similarly torn up making it harder to parse the waiting zombie from the genuinely dead. From the lone zombie that stands up off-screen to the horde that advance on you as you reach the end of the level Resident Evil Zero kept players on their toes even if that first level felt more, ahem, on rails than others had before. The home base of the Los Illuminados cult and by extension the Los Plagas virus isn’t in a secluded mansion or destroyed city but on a miserable stretch of Spanish coastline. Everything in this area from its grey and brown colour palette to its depressing enemies looks filthy. The village looks abandoned and, for a little while at least, it is. Until the villagers come back in force. Wielding sickles, hatchets and a chainsaw they advance rarely giving you a moment’s respite. The shotgun that is your salvation is the most powerful feeling in the game. But when you’re one man against an army that feeling amounts to little. It wasn’t the grime-encrusted houses or the sack-wearing, chainsaw-wielding Dr Salvador it was that feeling of inadequacy and vulnerability that lingered longest. Was Resident Evil 5 intentionally racist? No, probably not. I can’t really imagine a team of Japanese developers, especially at Capcom, walking into a meeting and saying “Our next game will be about a buff all American man storming into an African country and butchering the local populace”. Still that’s what Resident Evil 5 plays like, African sidekicks be damned. The game is not an especially good one but the racial ignorance and Heart of Darkness-lite storyline do it no favours. The fictionalized location of Kijuju is presented as being incapable of self-governance and at the mercy of Western oil companies and armies. Well-intentioned or not muscle man Chris Redfield’s presence doesn’t help. The opening of the seventh main Resident Evil game feels like something out of a Blumhouse film. 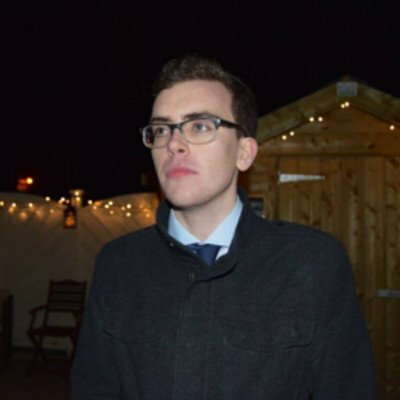 Disregarding the rest of the bloated, messy game the first hour is a masterclass in atmosphere. The tapes found by Ethan in that stinking, derelict guest house illuminate a little of what went wrong in the Baker home but little can prepare you for the truth of the situation. From the soiled basement to the nightmarish attic Mia stalks you forcing you to question every opened door and creaking plank. The tension rarely breaks but when it does it shatters into sharp splinters. Even as Resident Evil VII begins to lose its way about halfway through that opening scene embeds itself like glass shards in the memory. Suggested Reading: Nightmares Now and Forever | Resident Evil at 20. Should Resident Evil Be Rebooted On Netflix?